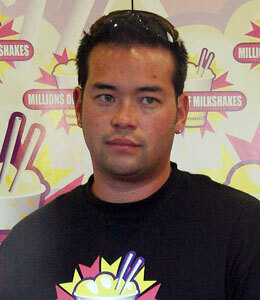 TLC is Suing Jon Gosselin! Jon Gosselin will be in court again soon -- and this time he isn't fighting with his estranged wife Kate. TLC dropped Gosselin from "Jon and Kate Plus 8" and now the network is suing the reality TV dad for breach of contract. The lawsuit was filed in Maryland on Friday. It alleges Gosselin hasn't met the obligations of his contract as an exclusive employee, has appeared on other programs for pay and made unauthorized disclosures about the show. TLC released a statement to "Extra" saying, "The network has been trying privately and patiently for months to get Jon to honor the contract he signed and to comply with his obligations relating to public appearances and statements. Those efforts have been unsuccessful." Gosselin has starred on "Jon and Kate Plus 8" for five seasons. In September, TLC announced the show will be renamed "Kate Plus Eight" and will focus on the lives of the children, and Kate's role as a single mom.